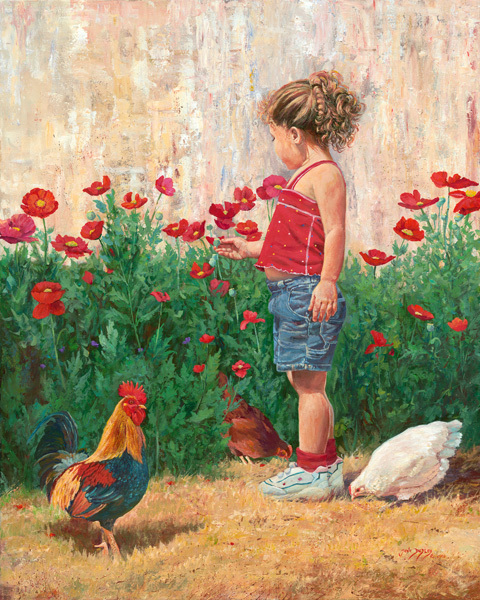 June Dudley paints the most adorable children, and this little "Country Girl" fits right in. Flowers are for picking, and the lovely little girl stops to choose a bloom or two from the garden as a couple inquisitive chickens accompany her. Perhaps she will surprise her mother with a bouquet.